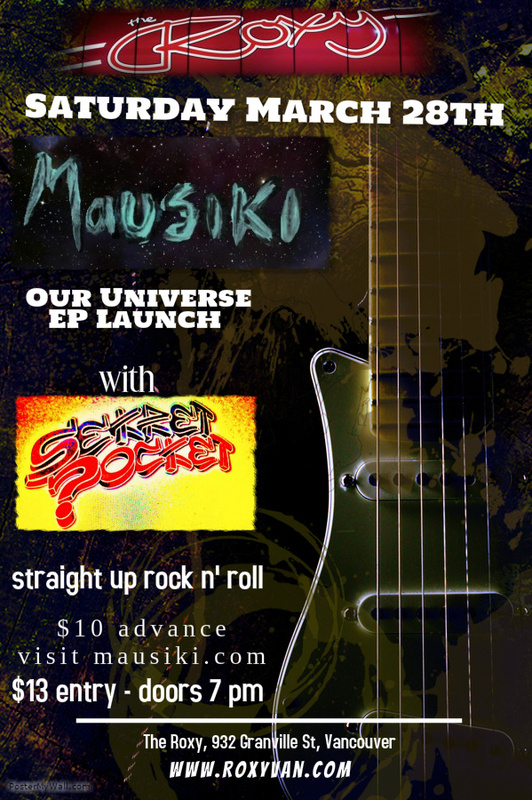 So incredibly stoked to be celebrating the launch of our first 5-track EP ‘Our Universe’ with Sekret Pocket at The Roxy. With our initial recordings complete, Our Universe essentially delivers the sound and the concept behind Mausiki. Advance tickets available here.